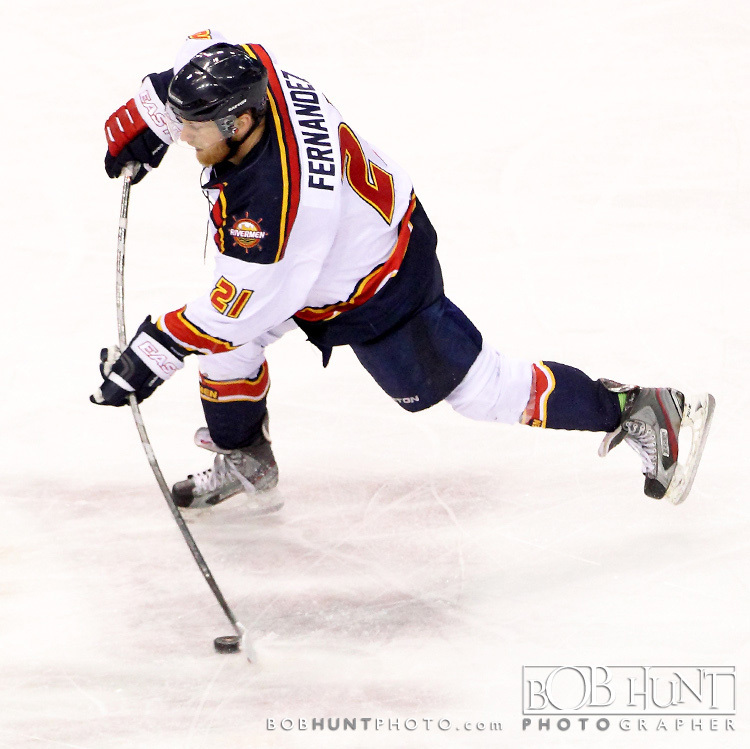 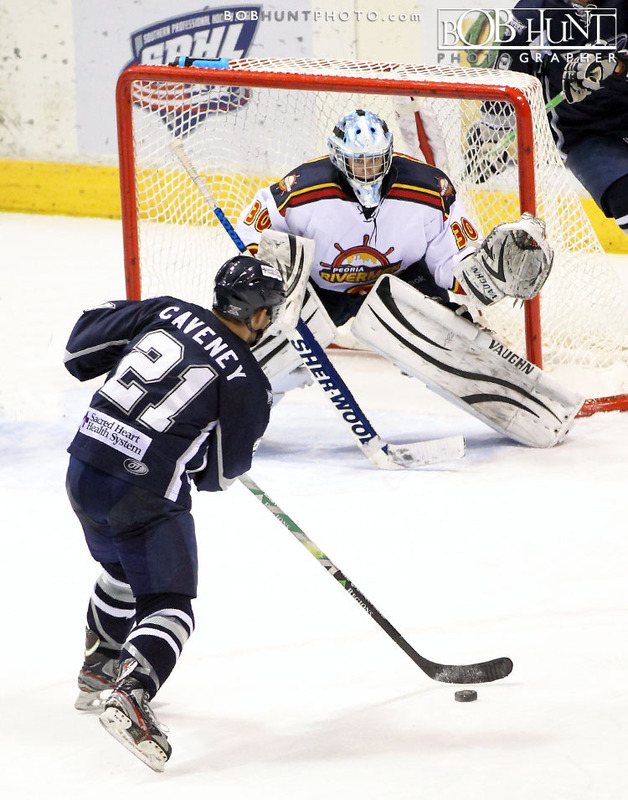 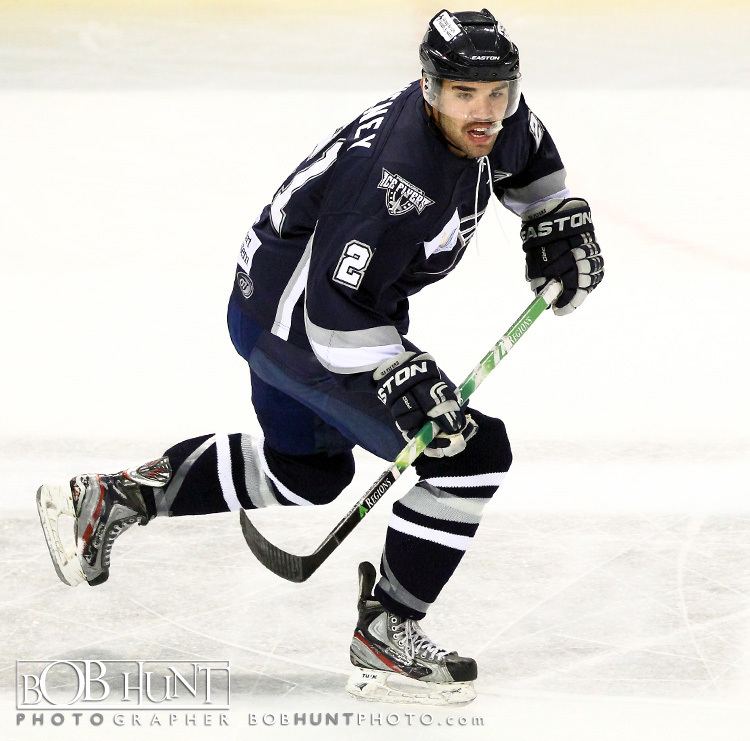 Joe Caveney scored the game-winner with just 1:27 left in overtime on Saturday as the Pensacola Ice Flyers defeated the Peoria Rivermen, 3-2, for the third straight night at Carver Arena. 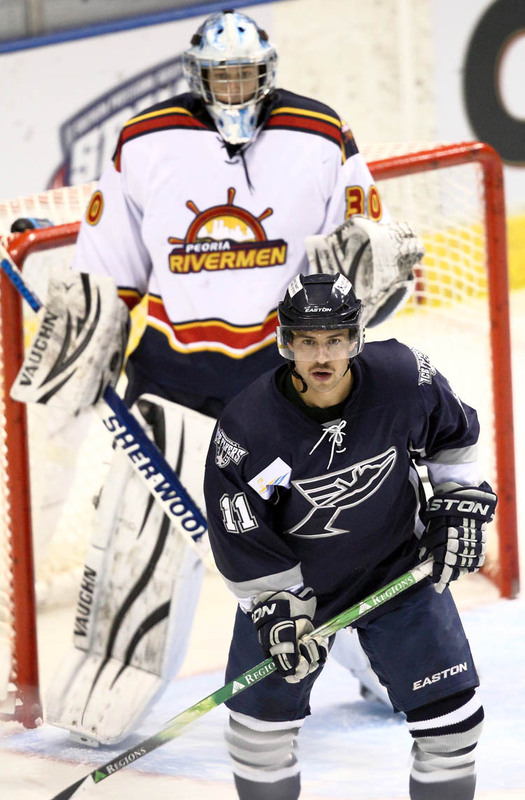 Despite the loss, Rivermen goaltender Eric Levine made a career-high 40 saves, while Peoria scored both goals on the power play. 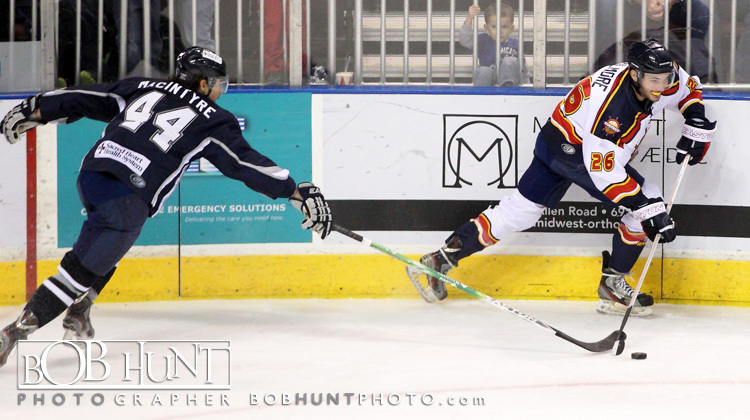 Peoria falls to 3-6-3 on the season, but earns its ninth point of the year. 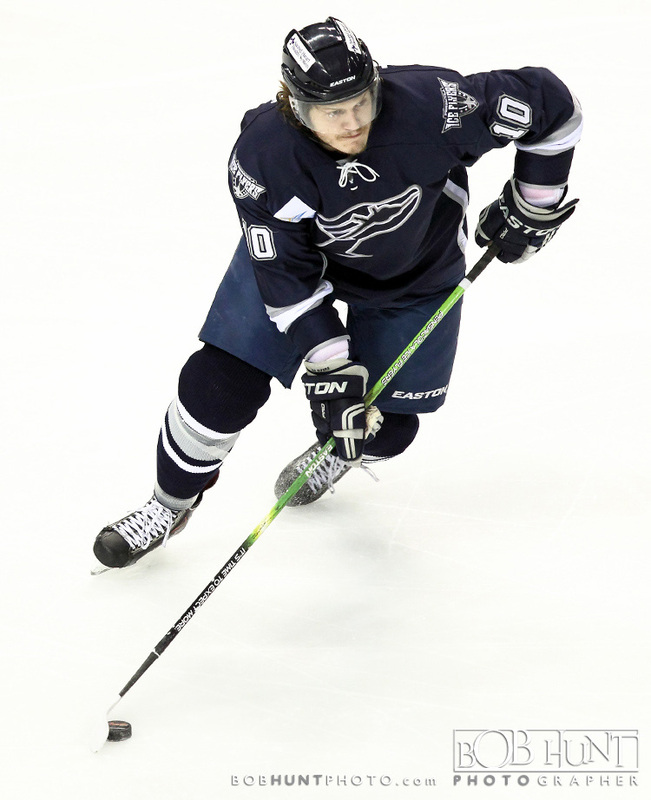 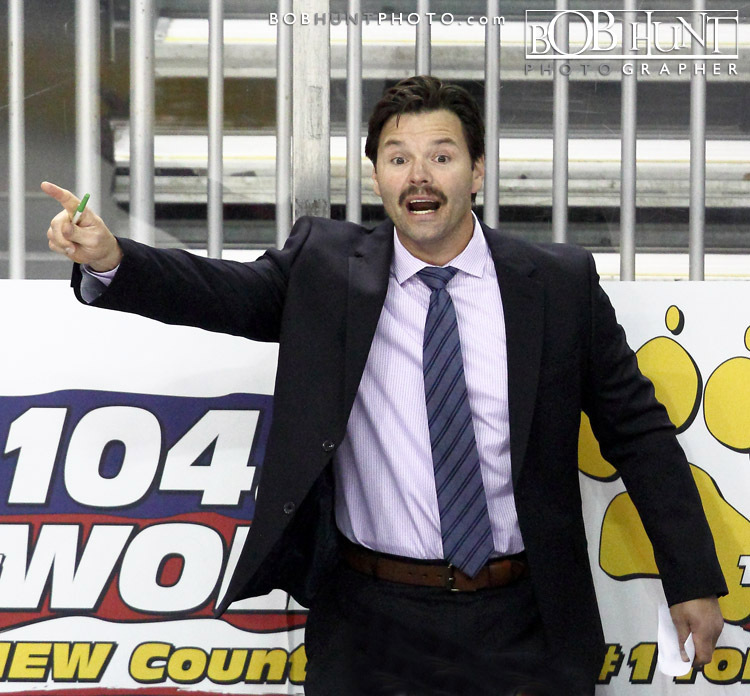 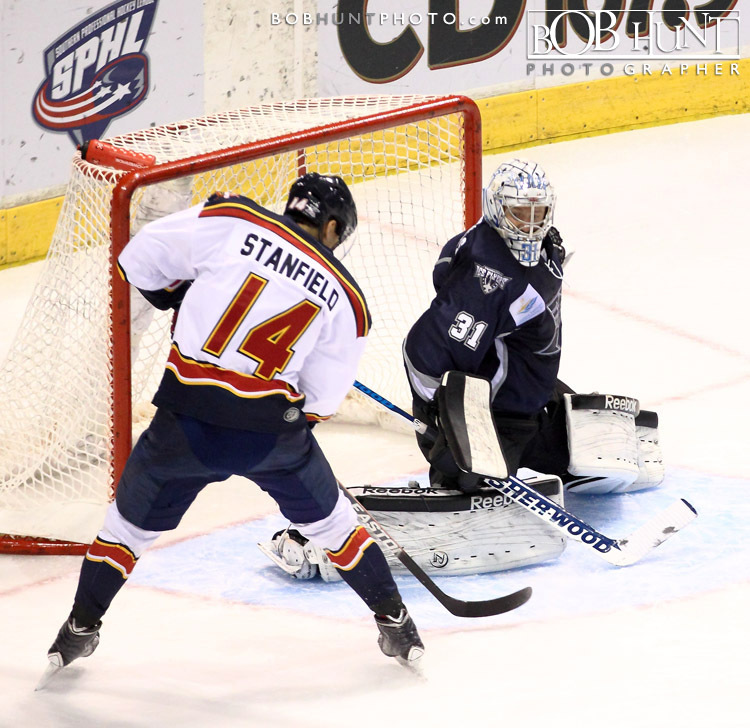 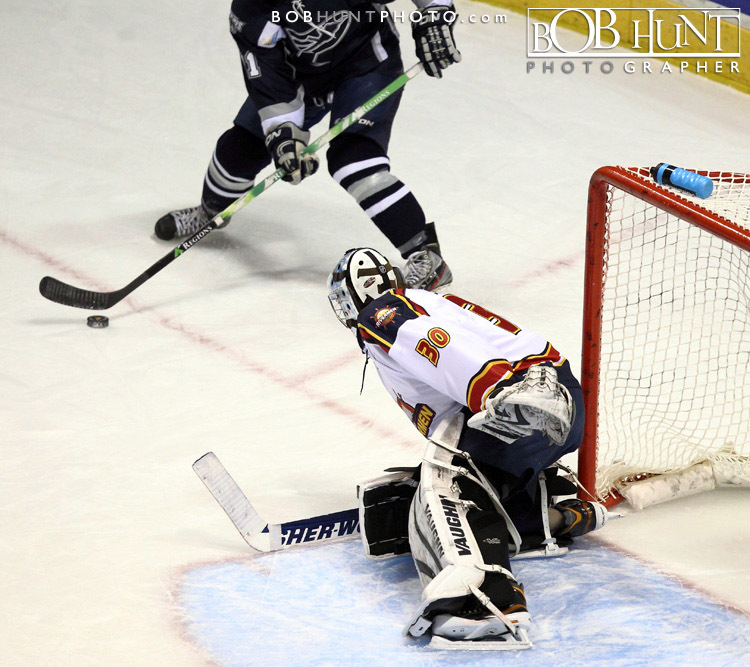 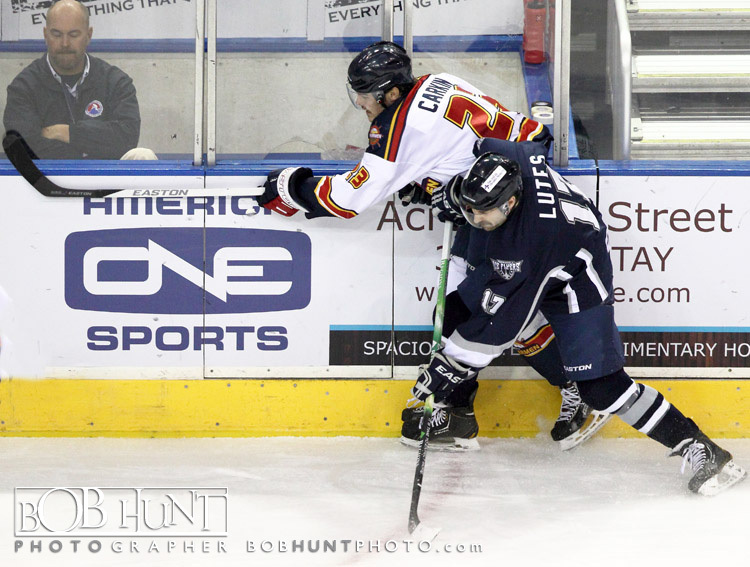 In addition, Levine is now 1-3-2, while Ice Flyers’ netminder John Griggs stopped 29 of 31 shots for his second win. 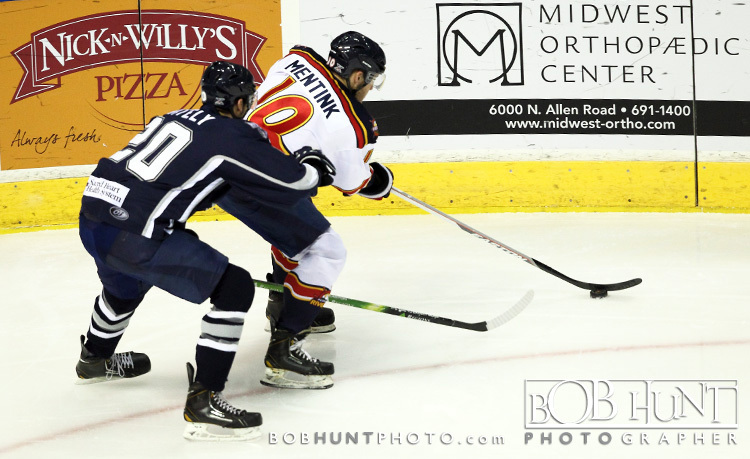 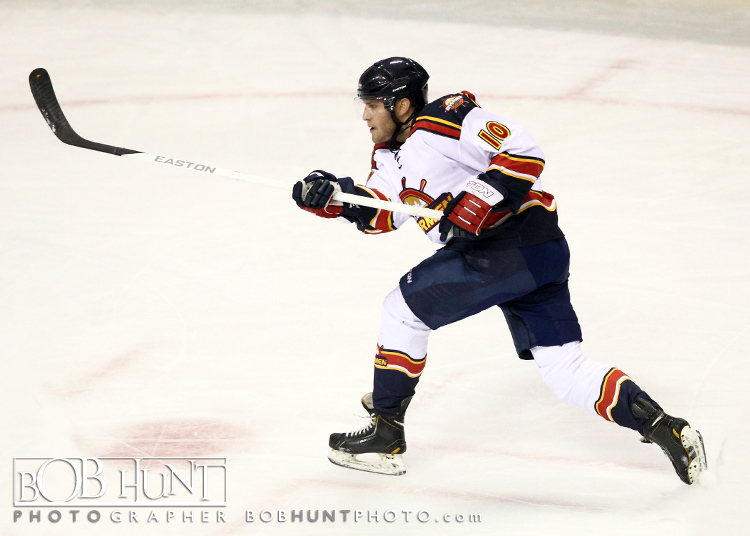 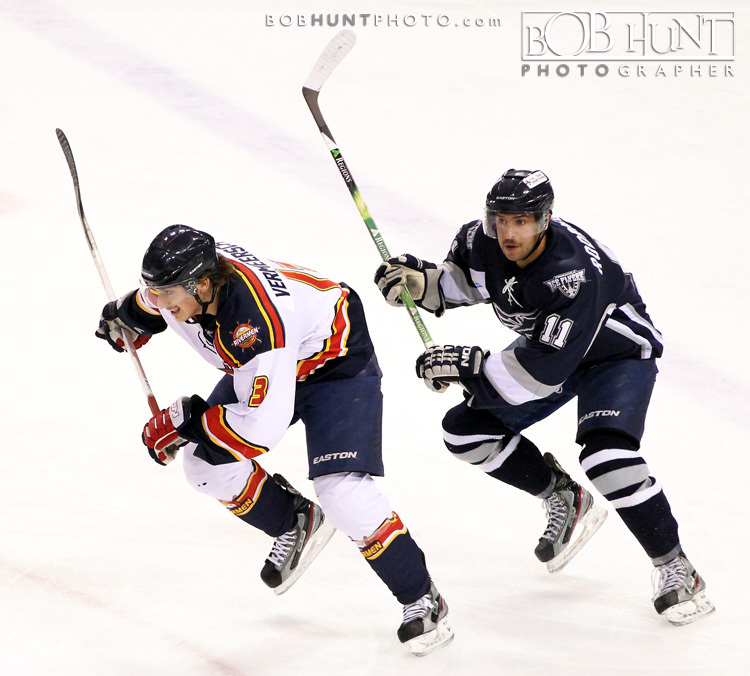 Parker Stanfield (1g, 1a), Tyler Fernandez (1g, 1a) and Cole Ruwe (2a) each notched a multi-point night for the Rivermen. 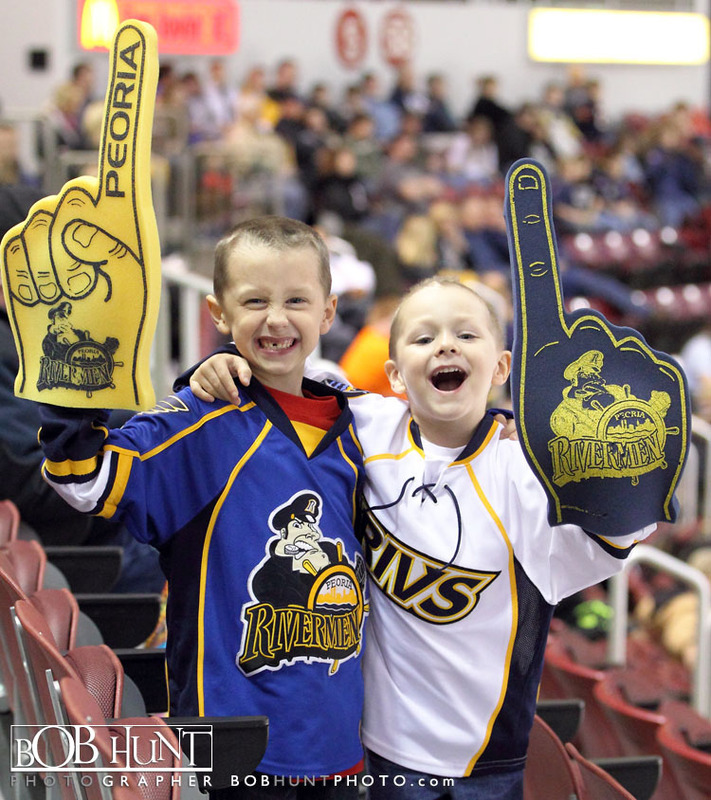 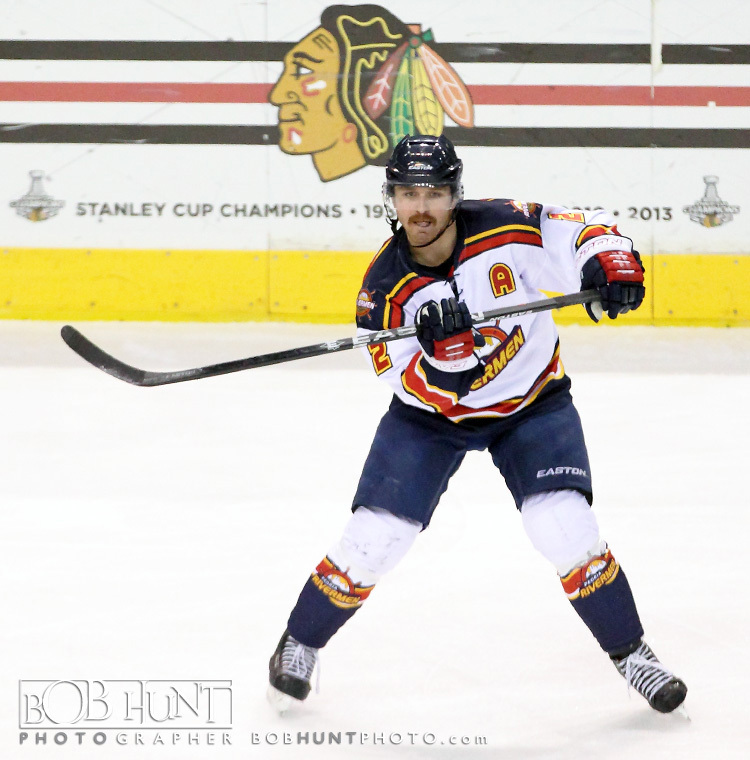 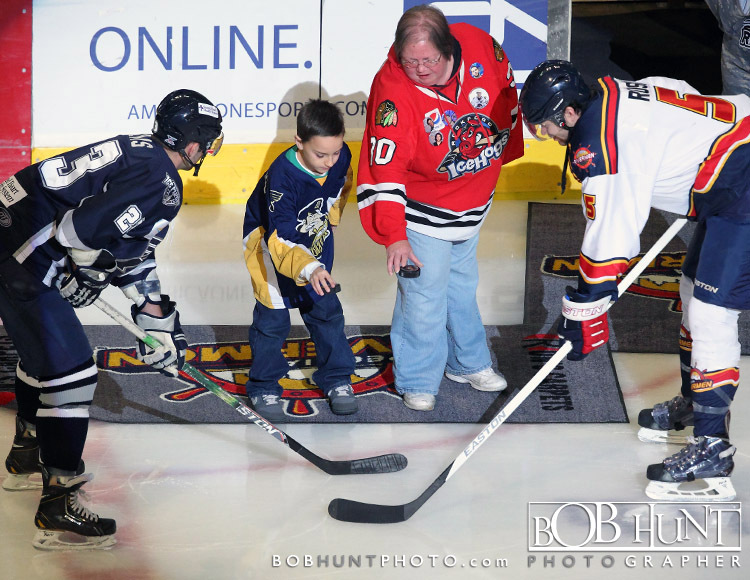 Peoria begins a home-and-home series next weekend against the Bloomington Thunder with a 7:15 p.m. puck drop on Friday at Carver Arena. 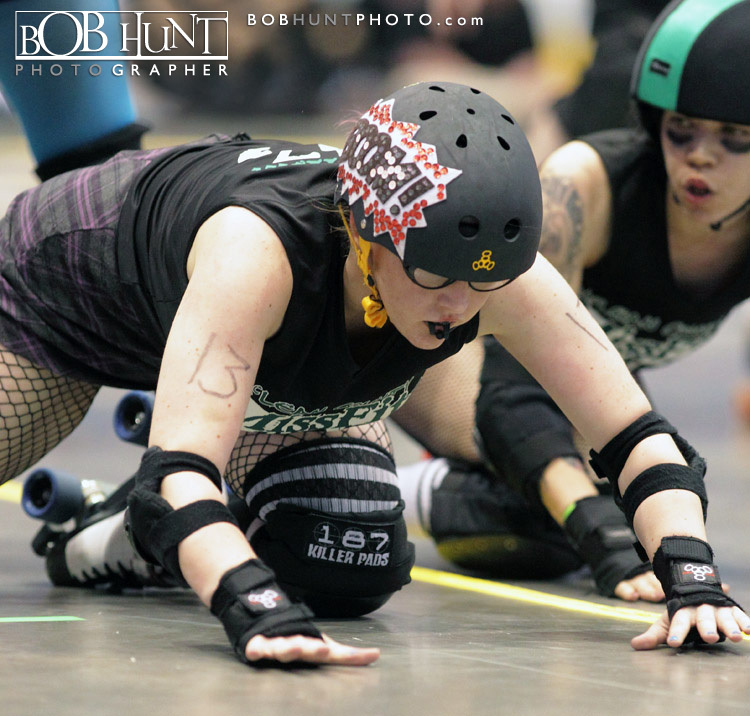 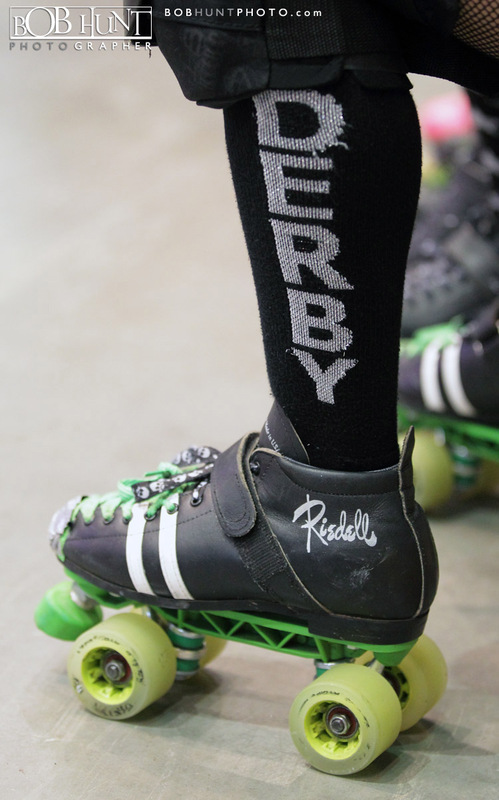 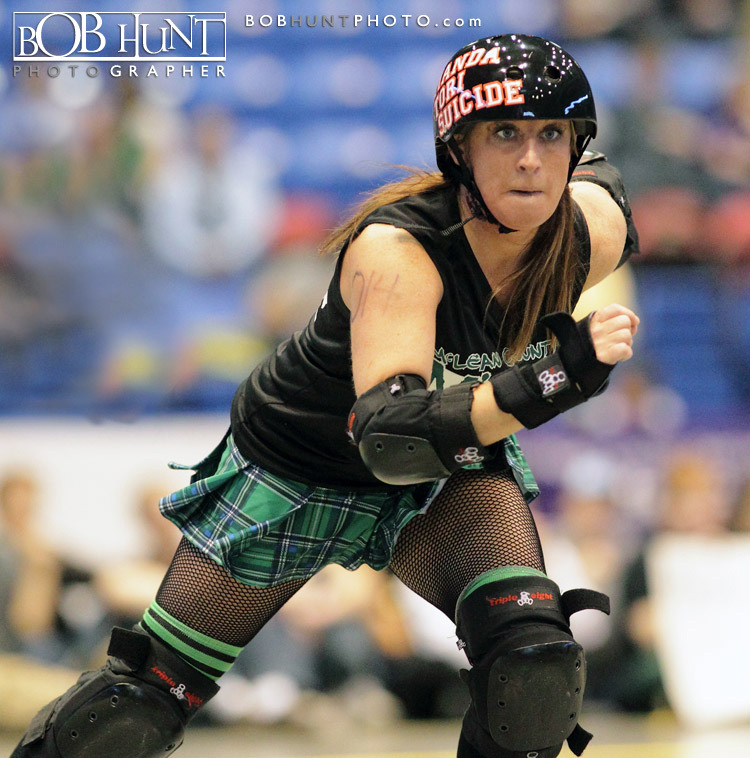 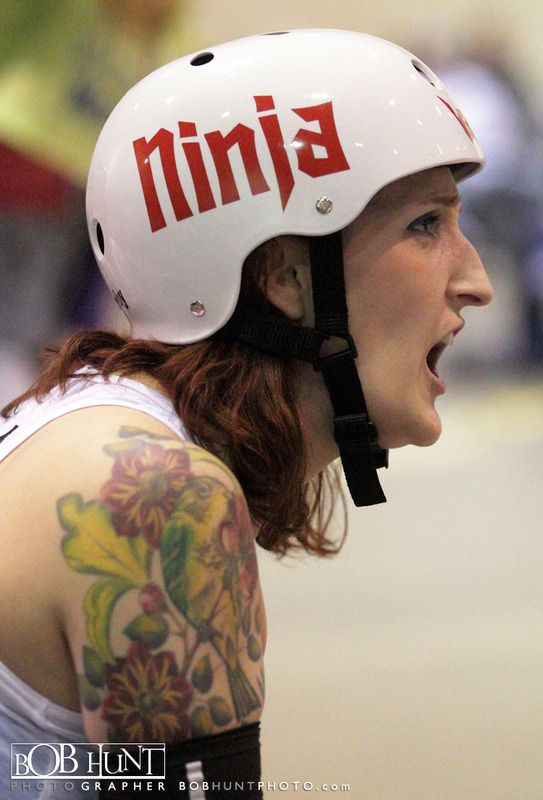 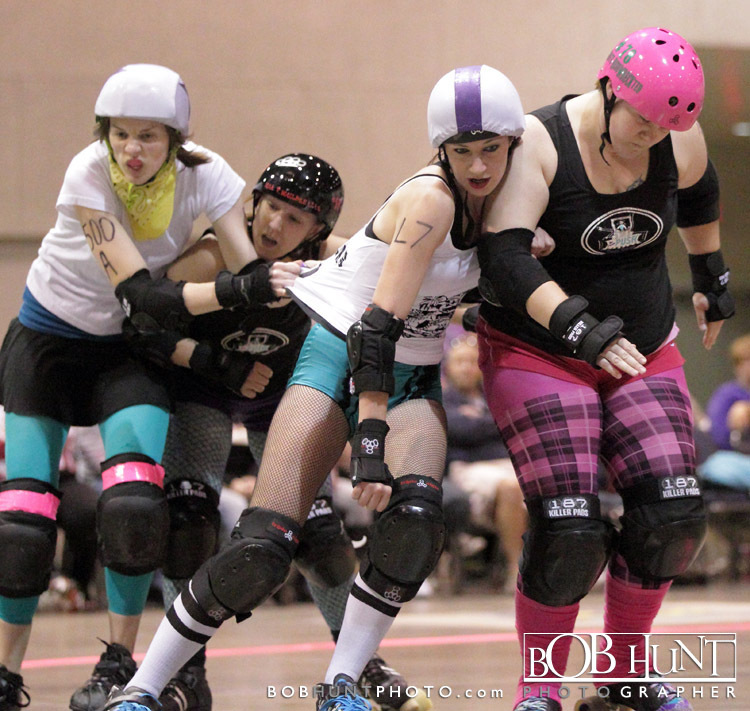 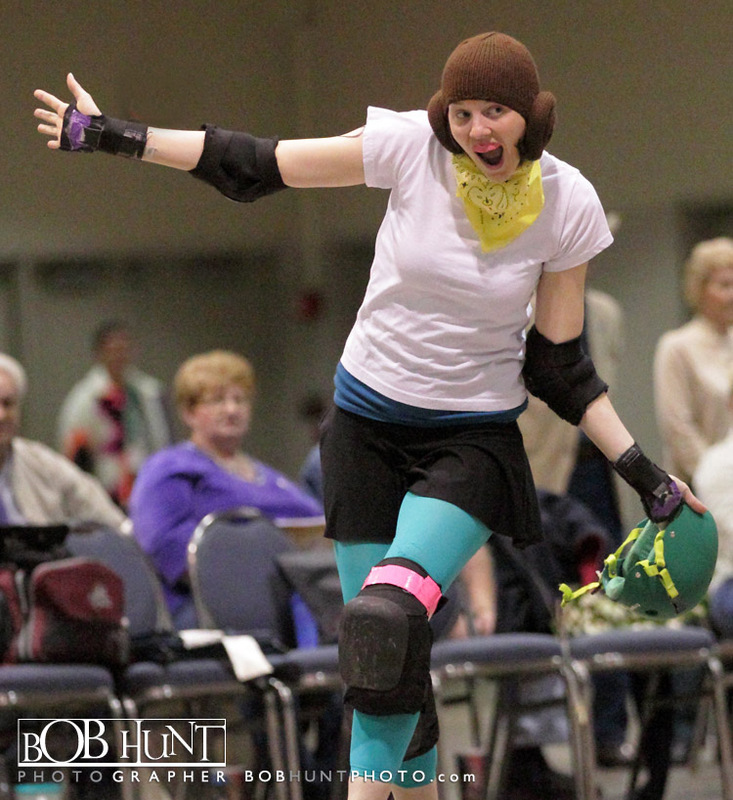 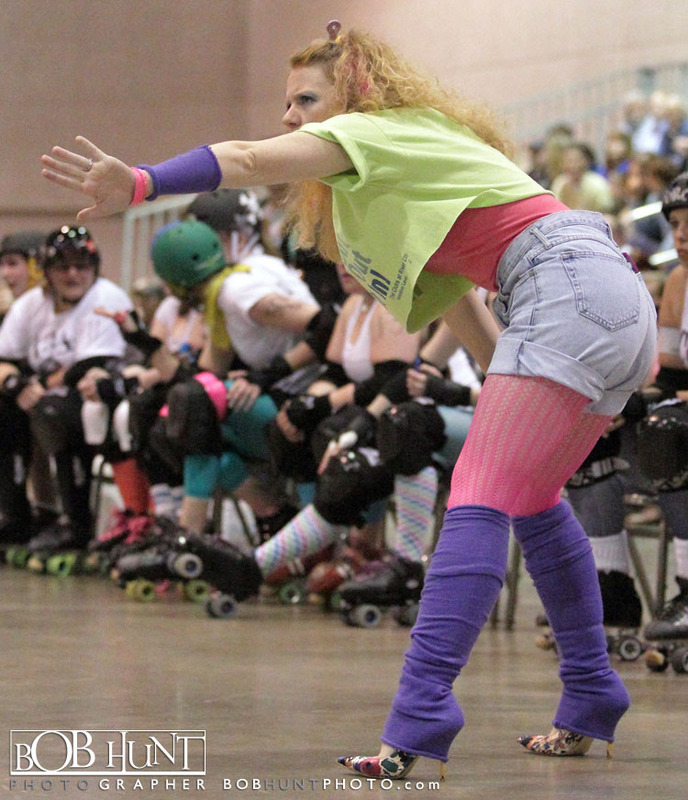 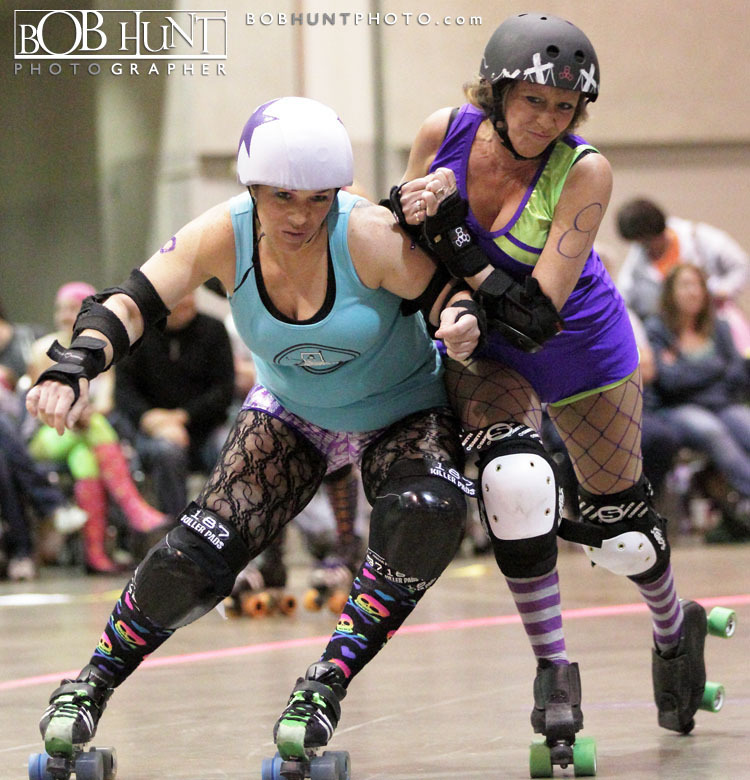 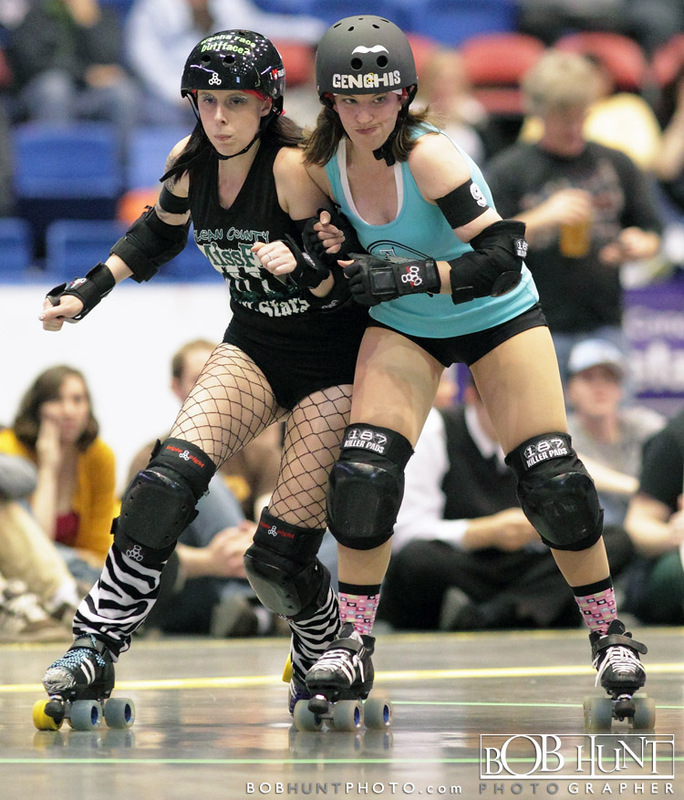 The Peoria Push Derby Dames packed up there skates and traveled 45 minutes east on I-74 to take on there closest rivals the McLean County Missfits Saturday night at U.S. Cellular Coliseum. 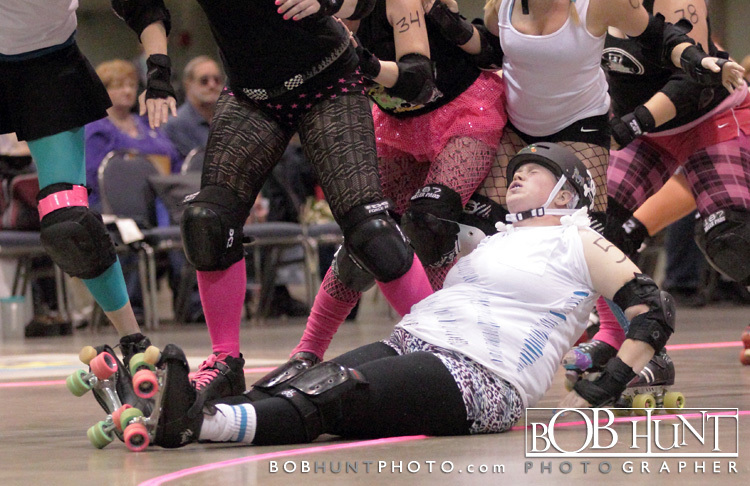 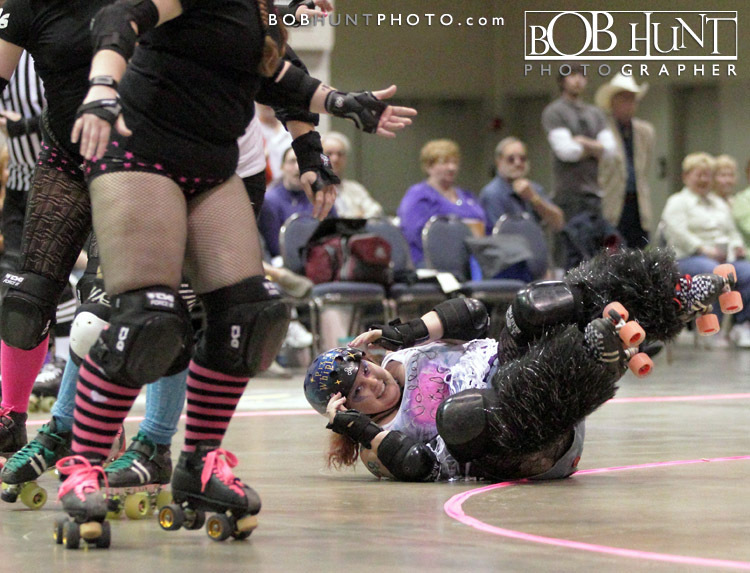 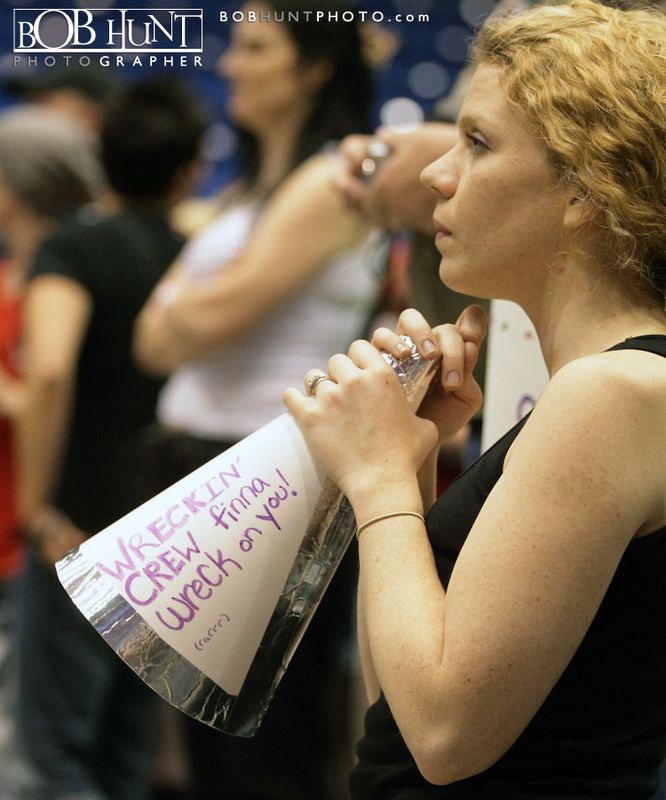 It was a great night of fun and hard hitting roller derby action. 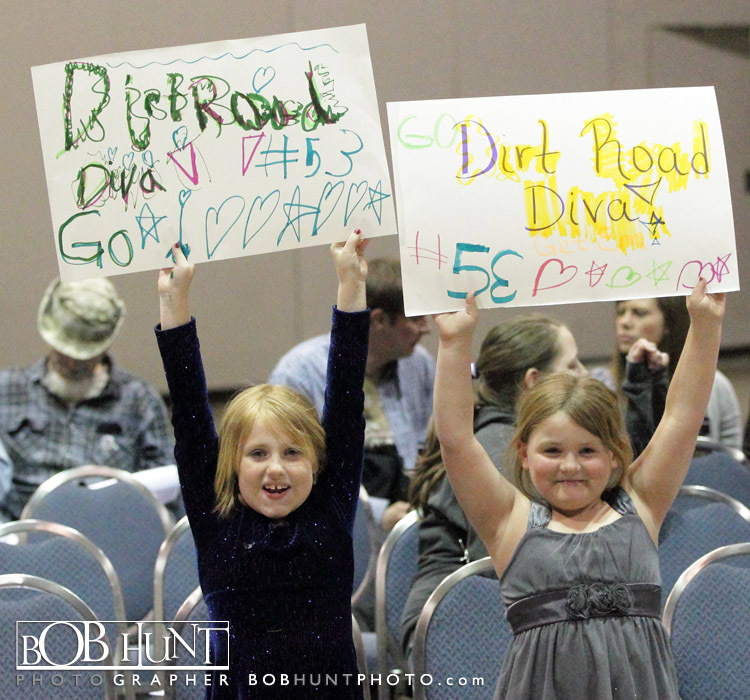 When the dust settled the scoreboard read 132-112 in favor of the home town MissFits.